The value of warehousing cannot be underestimated. This is because warehouses impact every stage of the supply chain. Manufacturers, distributors, and retailers all need warehouses for raw materials and finished products. The transport companies require warehouses to serve as a collection point of goods before dispatching them to the right recipients. The profitability of all the companies involved in the supply chain relies significantly on what happens in the warehouse. It is important to note that if storage is not handled efficiently by the manufacturer, the other companies that rely on the manufacturer for income suffer losses. Warehouse apps ensure the smooth running of warehousing for all the businesses involved in the supply chain. For example, if the stock is not monitored accurately, some of these businesses may not know when to reorder for more stock or they may be told the stock is sold out when they need it most. A warehouse app helps all businesses, from manufacturers to retailers, to keep track of stock levels at all times. Based on their business models, these companies note the best time to restock and when to wait to ensure a significant portion of capital is not tied in stock. Businesses in the supply chain depend on the knowledge that those involved understand the importance of timing in the supply chain. 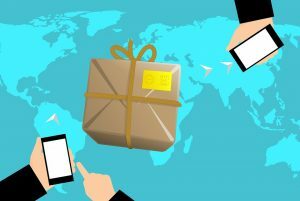 When a manufacturer receives orders from the distributor, he needs to have the goods ready on time so that the distributor can also ensure retailers get the amount of stock they require, at the right time when they need them or ordered them. Warehouse apps help with order consolidation, order assembly, cross-docking and so much more. Any mistakes in these levels will affect the rest of the transactions that take place when the goods leave the warehouse. Warehouses act as a buffer for businesses. They maintain a balance between supply and demand for all firms in the supply chain. Having high demand products in stock increases the profitability of those in the supply chain. Warehouse apps help to keep track of these high demand fast-moving goods. It also shows products that remain for longer than people looking to make a profit would like. Warehouse apps also help to keep track of the delivery, shipping and transportation costs. Business owners can organize goods based on delivery points, and consolidate those going in the same direction. All of these helps to cut costs. One of the reasons many businesses buy items in bulk is due to the savings made. The price of goods, especially raw materials, keeps changing. Warehouse apps help to determine if the business should maintain the asking rate. This is especially important during low seasons when specific products are discounted. Warehousing is one of the most critical components of logistics and supply chain. Keeping track of inventory is a challenge when it comes to warehousing. However, warehouse apps help to minimize costs and reduce errors in record keeping. Thereby, increasing productivity and increasing revenue in the long run. Any entrepreneur or manager will tell you that one of the challenges they face in business is stock taking. Some businesses even close shop on the day of stock taking to ensure total concentration and effort to taking stock. This process is vital for every business because it is the only way the business owners can verify that every item sold is accounted for in terms of revenue. Instead of spending so much time going over the stock left and checking it against stock sold and income earned, having a stock take app on hand efficiently simplifies this process. Business owners and their staff receive real-time updates on their sales against remaining stock. These businesses are open every day of the week, and sometimes they open till late. Without a stock take app, owners would find it difficult to confirm if the revenue is what was expected from the sales. Sometimes errors are made, and it is difficult to determine if the shortfall in income is because of price, miscalculated stock, or theft. Stores that serve clients all day and always stay open, such as supermarkets and grocery stores, require stock take apps or a stock take software where daily stock take reports are readily available. This way, those tasked with the responsibility of communicating with suppliers can do so promptly to ensure smooth operations and fewer hiccups. Online shopping is quite popular in Singapore, especially in fashion and departmental stores. Some of these stores see thousands of sales transactions each day. If employees were to keep track of every transaction and stock remaining, the rest of the business operations would suffer. Stock take apps also ensure clients only shop for what is still in stock. The app automatically deducts the sales from the inventory as soon as a client has paid for the item. This saves the company from having to explain to the client why a product that is not in stock was not indicated as sold out. This can be embarrassing and will project a bad image of the company to current and potential customers. Some companies deal with thousands of individual products. Taking stock of all items could take weeks, both before and after sales. Stock take apps help to ensure the seamless running of large scale operations where human error is expected. 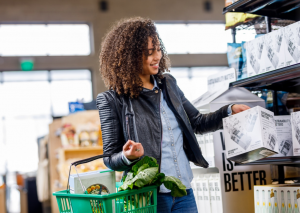 Businesses that deal with bulk sales and purchases also need to monitor the products that are not selling quickly so that they can replace them with others. Besides sales, such businesses are concerned about space constraints and moving their products faster and more efficiently. The healthcare industry, including chemists, is one of the beneficiaries of stock take apps. These facilities need to be updated regularly to ensure patients do not miss life-saving drugs and medical professionals get the tools and equipment they require to execute their duties well. Stock take apps ensure there are updated records of the items used and drugs sold. Those in charge of requesting for more products will plan appropriately when they receive regular updates of sales from the stock take app reports. There are many different types of stock take apps for businesses of all sizes. The features in these apps will guide you in choosing the app that will work best for your company. In almost every organization’s website, there is a section of testimonials. Why do some companies have such glowing ratings from their clients while others barely get any positive reviews? Today’s consumer is enlightened about the available systems. Clients are always making comparisons between one service provider and another. Often, they compare how fast they were served and the level of customer service. Most organizations that customers find satisfactory use some form of technology to improve customer experience which leads to satisfaction. 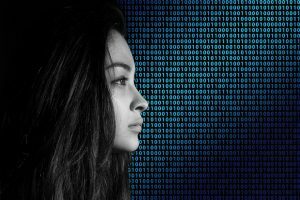 In this article in coresystems.net, the author discusses what consumers in the digital era expect and how they measure success. When consumers go to an organization, they have a need. The expected that need to be met. They hope for a process that is professional with minimal or no hiccups. It is essential for organizations to understand that consumers are not merely looking for lip service. They want to see the skills and tools of the trade. They want to be 100% certain of delivery of service. This is why it is essential for organizations to equip their field service staff with the necessary skills, insights, and technology to execute tasks satisfactorily. In this article, FieldAware discusses some of the factors in field service management that will result in customer satisfaction. Many consumers are today more inclined to deal with organizations that are concerned about protecting the environment. Once they encounter an organization that is paper-less, they may want to know more about it. This is one of the benefits of including technology is field service management. Customers wish for timely deliveries. For example, if a customer hires a cleaning company, he expects them to arrive as scheduled and finish the work at the stipulated time. Any delays will overshadow the quality of work done. In this article, Conor Cawley discusses field service software and how businesses benefit from it. There is no doubt that field service software makes it easier for a business to keep tabs on its operations. Employees in the field can check in at any given time to give a report. The office is aware of the status of work without being in the field to monitor the progress. Field service software has also eliminated time wastage. Before the introduction of field management software, it was easy for field staff to make unsubstantiated claims, especially when they had no supervisors. Today, it does not matter how far in the field the service crew is, they know their movement is monitored. They have no choice but to work and deliver as expected. This has improved productivity and customer satisfaction. Any business that is yet to include field service software in its operations is likely to fall behind in work done and progress. The industry is changing fast, and customers expect the organizations they deal with to improve at the same pace. Otherwise, there is likely to be a gap between what the customer expects and what the organization can deliver. For the organizations to remain relevant and grow, field service software is essential. It is a worthwhile investment that will improve various aspects of running the business as well as boost customer relations. In today’s day and age when security threats are increasing by the day; a proper security system has now become essential. Only the best security systems can help to deal with the threats looming over our heads. The world that we live in is unfortunately always on attack. Sometimes the attack is physical and sometimes it is virtual. Singapore being a major global financial hub is always on high alert whenever an attack happens elsewhere in the globe. Singapore companies are always at risk of a major cyber attack which could not only affect the businesses in Singapore but have repercussions on companies in other parts of the world as well, who are associated with them. On a much larger scale, it could affect the global economy if the attack is major like the recent global ransomware attack. 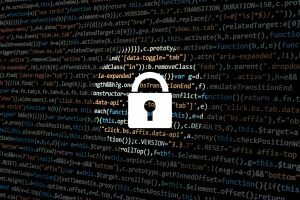 Singapore over the past few years is increasingly seeing more computers getting hacked and data being stolen; which are returned only when a significant sum of money is being paid up. These result in major financial loss for companies. Many companies have all their important documents stored virtually and physically within the company building. These need to be guarded heavily. Systems need to be upgraded constantly to be able to tackle with new viruses that threaten to crash systems. -A good external interface management system which keeps tab and checks on the functioning of systems, equipments, software, data to co-work effectively. This will immediately alert the operators of any abnormal behaviour in anything related to the computer. -A proper alarm system with the latest technology which can be upgraded frequently to alert the operators of any intrusion by any unauthorised authority. -Real-time transaction processing so that data gets processed immediately as it’s being entered, which does not give hackers any time to steal information. While there are many who offer security systems, one that provides latest solutions and an integrated system that takes care of both physical and cyber threat is the option that you should choose for your company. Is It Important To Install CCTV Camera In An Office? Safety and security are very important in all walks of life to ensure the overall wellbeing of all individuals. Commercial spaces and offices require a lot of security and must consider integrated security solutions. Although employing security guards serves the purpose of having an element of protection on the floor, that’s not extensive enough to protect the entire premises. This is where CCTV plays a pivotal role in daily functioning of an office. Find out where to get a CCTV Video Analytics vendor in Singapore here. Ensuring and establishing an overview through cameras placed at key areas in an office environment forms an integral part of having CCTV security systems. 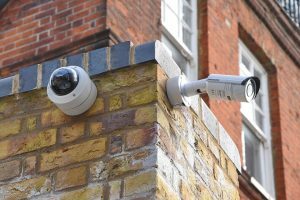 Although the major agenda of installing CCTV cameras is to protect against any sort of criminal activity or theft, it can also play a role in terms of the productivity levels of your employees. Although the placement of cameras might determine their angles and may affect the images, they act as a deterrent to any criminal as multiple angles might capture the faces and appearances of the individual. Cameras could be placed at the corner or in the middle of the room as per the need and requirement. Surveillance systems are perceived to be highly expensive and complicated, but they do not have to. Many companies that provide surveillance services send their technicians for training purposes even for residential customers. It is highly unlikely for a potential theft or any criminal activity to occur in the presence of CCTV cameras without being caught. They are practically impenetrable with multiple cameras displaying multiple angles at a decent proximity. CCTV also provides remote surveillance. It is not humanly possible to man your cameras hence you could track movements at your office even while you are away from it physically. In case your office is in a high crime area, you could protect your office as well as your nearby businesses by providing the footage and the CCTV video analytics in case something were to happen. They are counted as highly reliable sources of evidence in a court. It also provides a safe and a highly productive environment. Not only does it keep your employees and your goods safe, it also promotes a highly productive and ethical environment. It also prevents and deters employee theft just in case someone decides to steal from the office. Finally, having a CCTV provides added security and protection for both the employees and customers in the store. Have you ever heard of hyper converged infrastructures? According to Nutanix, hyperconverged infrastructure streamlines the deployment, management and scaling of datacenter resources by combining x86-based server and storage resources with intelligent software in a turnkey software-defined solution. The definition alone has given us info that it is a big help in technology. That is why in this article, we are going to tell you more about the benefits of hyperconverged infrastructures. One vendor that offers Hyper Converged Infrastructure is Hitachi ICT. They offer a multitude of other IT services that you can approach their knowledgeable consultants on. If you are serious about equipping your company with those solutions, you should check Hyper Converged Infrastructure Singapore out. John Edwards will tell us about the benefits of data centre infrastructure in his article below. Hyperconverged data centers were once a niche technology that mostly appealed to organizations with specialized needs, such as streamlining the management of small and branch offices. Today, many enterprises are now recognizing the value of transitioning their conventional data centers into hyperconverged facilities. Gartner reports that by 2018 hyperconverged integrated systems will represent as much as 35 percent of total converged infrastructure shipments by revenue, up from a low-single-digit base in 2015. Hyperconvergence shares some similarities with converged systems, says Charles King, president and principal analyst at Pund-IT. “Both are highly integrated, highly virtualized solutions,” he notes. Yet converged systems generally incorporate specific vendors’ hardware components, optimized for specific applications and workloads. “In contrast, hyperconverged solutions are clusters that typically leverage commodity components to support software-defined environments and related functions,” King observes. “Hyperconvergence delivers a radical simplification of the IT infrastructure,” says Jeff Ready, chief executive officer of Scale Computing, a virtualization and convergence provider. Read more here. In a statement by Steve Harris, vice president and general manager of Dell Federal, he said that key benefits of hyper-converged infrastructures include faster deployment, lower capital expenditures and operational expenses, and improved IT staff productivity. That would just be helpful enough. David Fafel will give us more benefits of hyper-converged infrastructures. Today’s business environment is fast paced and highly innovative, thanks to technology organizations that are advancing from zero to market leaders before their competitors even see them coming. While this frees companies up to manage their IT in a new way, it also creates an issue: last-generation infrastructures aren’t built with speed or elasticity in mind. Traditional hardware-focused architecture is slow to adapt and costly to scale. More resources demand more hardware, which can quickly lead to data center overload that adds complexity and cost. However, stakeholders seeking a technology solution to regain their business advantage are finding it in converged infrastructure. It promises to extend data center resources farther and faster, so IT can respond to the needs of the business as they arise. That’s where hyper convergence comes in. Convergence is leveling the playing field for businesses of all sizes by helping them modernize their data centers toward the goal of becoming software-defined. Yet, with all the promise that infrastructure convergence has to offer, there are some inherent deployment risks. Read more here. So David talked about data modernization through hyperconvergence and he has given us three business benefits of its benefits. These are: real cost savings, readily scalable workloads, and simplified management of remote places. Now, we are going to look into a specific company which is Dell. Cxrus Solutions will tell us about the key benefits of Dell’s hyper-converged infrastructure solution. Are you looking for a hyper-converged infrastructure solution for your company? You’re not alone. Many data center managers are doing the same thing. Hyper-convergence is among the hottest trends for deploying IT in the data center. And with good reason. It works. 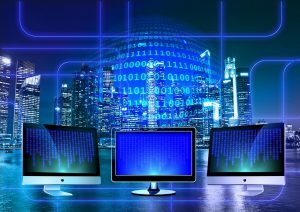 Hyper-convergence is “an approach to ‘tidying up’ data center infrastructure, it’s a giant step in creating an infrastructure that’s more flexible and simpler to manage. What’s more, you can be built hyper-converged infrastructures using low-cost commodity x86 hardware, so they’re cost-effective. Hyper-converged infrastructures use virtual machines as the building blocks of the IT environment. Other resources like — like storage, backup, replication, load balancing, and so on—support individual VMs. So data center managers work with VMS as their focus and not the data center or their underlying services. Read more here. As stated above, Dell’s solution combines full-featured storage, computing, and networking functions in one solution. Additional benefits also include full-featured storage increased flexibility, improved scalability, enhanced agility, streamlined operations, easy to deploy and maintain. Hyper-converged solutions could really benefit your company if you know how to manage it well. If you are interested in these, then you should already think about upgrading. What is cloud storage? 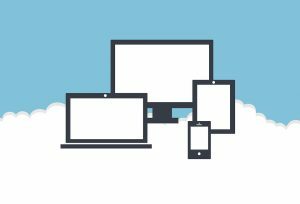 Well according to Techopedia, cloud storage is a cloud computing model in which data is stored on remote servers accessed from the internet, or “cloud.” It is maintained, operated and managed by a cloud storage service provider on storage servers that are built on virtualization techniques. Now that we know what it means, next thing we are going to tell you about are the pros and cons of cloud storage. In an article by Baiju NT, we are going to read about five advantages and disadvantages of cloud storage. Cloud Storage is a service where data is remotely maintained, managed, and backed up. The service allows the users to store files online, so that they can access them from any location via the Internet. According to a recent survey conducted with more than 800 business decision makers and users worldwide, the number of organizations gaining competitive advantage through high cloud adoption has almost doubled in the last few years and by 2017, the public cloud services market is predicted to exceed $244 billion. Now, let’s look into some of the advantages and disadvantages of Cloud Storage. Usability:All cloud storage services reviewed in this topic have desktop folders for Mac’s and PC’s. This allows users to drag and drop files between the cloud storage and their local storage. Bandwidth:You can avoid emailing files to individuals and instead send a web link to recipients through your email. Read more here. According to the article, cloud storage has both an advantage and a disadvantage when it comes to usability, bandwidth, and accessibility. Say for example, the accessibility; you can easily access your data using the internet, but you cannot do so without an internet connection. Anyways, there are more pros and cons of cloud storage and Episerver will tell us about that. Almost anyone you talk to who works in technology is using or exploring how to use the cloud. In the past few years, the cloud has gone mainstream, providing a range of solutions for end users and consumers of all types. If you own a smartphone, (and who doesn’t these days?) much of your content is already in the cloud. It’s the reason you are able to download the music, contacts, videos, and so on, from your smartphones, tablets, and computers. A consumer who stores personnel data such as files, images, videos, and synchronizes to other devices from anywhere through some apps. An Entrepreneur hosts their apps in the cloud and consumes components and services from cloud providers, such as computing (Virtual Machines), database, and storage, and so on. Read more here. There are several pros and cons mentioned in the article but they have also given us some important points that we should consider when thinking about cloud storage for your website. They are: Specifically where will your data be more secure? On your servers or in the cloud? And do you want to choose an approach that will ensure you aren’t locked in to a specific vendor. If you want more of the pros and cons of cloud storage, then let us read Paul Rudo’s article below. Businesses are definitely moving more towards the cloud for their business needs, especially for data storage. The cloud platform offers convenient and efficient access to storage space, which would otherwise have been difficult for any business to mobilize. However, as with any other technology, the cloud is not without its own set of disadvantages. Before opting for this technology, it is important to understand the pros and cons of storing data in the cloud. Cost effective: The biggest advantage in favor of outsourcing your data storage needs to cloud hosting service providers is that you save a lot of money. With cloud services, you can avoid investing in expensive storage equipment and you save money by not having to hire specialists to maintain your data and equipment. Moreover, you also free up your existing resources to concentrate on growing your business. Convenient and easily accessible: Businesses can enjoy extremely convenient and easily accessible storage solutions which were not possible with traditional solutions. In other words, you do not have to go through the trouble of creating or maintaining storage space for your data. Moreover, you can access your data, even when on the move, and from anywhere. Read more here. So according to the article the biggest advantage of cloud storage is that it is cost effective. On the other hand, one of the concerns with cloud storage involves security. You’re sharing the same space with other companies which give you less control and less security of your data. So when deciding of availing of a cloud storage, you must have a good knowledge of their advantages and disadvantages. Have you ever tried waiting in line at the grocery store, bank, or other establishments? Have you noticed all the efforts done by the company in order to manage the queues? Well, these are all called queue management systems. A QMS is used to keep a well-organized queue. It keeps customers assured that they get served on time and at a synchronized manner. Having to use this kind of technology lessens the hassle for customers, staff, and management as well. Many businesses suffer because of this due to the increasing waiting time by customers. 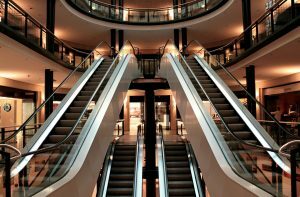 Large shopping malls have encouraged their vendors to adopt commercial queue solutions that can help increase the conversion of visitors by improving the customer experience and making transactions more seamless. Now, let us go deeper and get to know more about queue management systems. Hyun Lee will share to us all the other things we need to know about QMS. Does queue management system work? How do you make the most out of your business by simply arranging waiting lines? Now that we already know a lot about queue management systems like its types and benefits, it would be better if we discuss two specific ways of managing a queue. It is true that we have a lot, but these two systems can work a lot today, especially that the current generation is more on technology. In an article found at presentationpoint.com, a queueing management system using PowerPoint will be discussed. 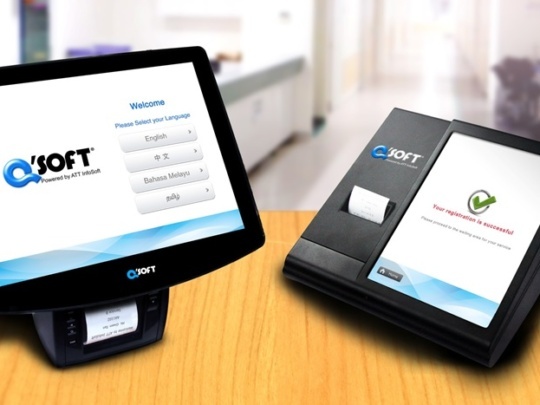 We have 2 solutions for this waiting queue management system. A simple one is CounterPoint and an option to use multiple counters and multiple service desks is DataPoint. PowerPoint will be one of the easiest ways we could manage a queue because it is familiar with many of us. It would just flash information in the screen and we would immediately know if it’s already our turn. However, with the development of technology, more advanced systems were created. One of these is through the use of SMS. Ish Bandhu, in his article, will share to us how to build an SMS queueing system. Before we work on this we need to make sure we have a paid Azure account. Azure free account does not provide some services which we need to run, like Azure message services and also creating a free account on Twilio for sent messages. I will discuss the following topics in this article. Create API for sent messages. Create table for inserting information of sent messages. Create web jobs, which will run your method continuously. Wow! That system would be very useful especially to those who really have a tight schedule and are always busy. Because of this queueing system, you wouldn’t have to wait inside the area for your turn, because you could actually go out and do errands. What you only have to wait for is an SMS from the company saying that it is already your turn. It would also be useful for those who are not patient enough to just sit or stand there waiting. Queue management systems really contributed to the ease and control of long queues. It is an effective communication and information tool for customers. In addition, it is also a good contributor to the success of a good customer service and a help for the staff and management. Innovators of today seem to be more imaginative than those of the past. They have to come out with solutions for the unimaginably unique issues that keep cropping up day in and day out, thanks to more creativity displayed by people with nefarious intentions. If we take the field of security, we find that modern innovators are forced to come out with more appropriate systems for controlling access to buildings as well as into lifts and elevators. You may want to get such an access control and security system installed in your workplace also. But before seeking the help of a competent company, you must know the benefits you will derive by having such a system installed. One company that provides many of such systems is ATT Systems. Most notable is their Queue Management System in hospital, which has managed to reduce waiting time and streamline crowds, which is especially important for prospective patients going to the Emergency Ward. Imagine the chaos if there were no modern system, and just a manual crowd control for a sudden increase in patient numbers. Not only would patients and their loved ones be agitated, but unnecessary delays will affect a patient’s survival chances. Next, let us look at the benefits of using such a system. 1. By getting an appropriate access control system installed for your business, you can enhance the payroll efficiency of your company because the system will supply data that may be in a compatible format suitable for your payroll package. This means that you can completely eliminate errors that are likely to occur in your payroll department. 2. You can rest assured about the security of your building because the system will allow only the staff authorized to enter it. You should ensure that the lift and elevator operation is also integrated into the system. 3. An effective system that controls access can help in saving costs. For example, you can restrict the use of printers and photocopiers so employees will be able to use the devices only if it is absolutely necessary. Apart from saving costs, this move may help you in your efforts to reduce your energy bills and carbon emissions and protect the environment. You can also be certain that your confidential documents are secure. 4. Thanks to the proliferation of buildings, space available and more particularly for car parking, has become very restricted. You may face this problem in your business also. An appropriately chosen control system will help you in solving this issue by monitoring entry into and exit from the car parking area of your office building. But how do you go about choosing a competent company that offers an appropriate access control provider of security management system ? The following tips may be useful. 1. When you do your research for choosing a competent company for providing access control or security system for you, you must check the track-records of the companies you have short-listed. You should also find out if the companies will be ready to help you in the process of constant reappraisal because your security needs will certainly keep changing. This means the companies you are considering should be ready to enhance the efficacy of the systems they make available to you so as to suit your changing needs. 2. The systems that are offered by the companies should help in enhancing the efficiency of your business. Apart from getting your business considerable savings in energy usage, administration expenses, and in payroll management, the systems the companies offer should come at reasonable costs also. Of course, there is competition in this field also and hence, the providers you are considering may be ready to negotiate with you and agree to lower their prices. But you should be careful not to dilute your focus on the quality of the services you need because nefarious minded elements are waiting in wings to exploit even small loopholes in your security systems. They may create grave problems for your business. This means that though you must give importance to the aspect of cost, you must afford more importance to the quality as well as the efficacy of the system. In other words, if the most appropriate system comes at a slightly higher cost, you must not hesitate to go for it. “If our end-user education policies succeeded, we would have defeated hackers and malware by now. And if recent trends are any gauge, end-user awareness is worse than ever. Social engineering Trojans, which trick end-users into running malicious programs, are the biggest threat by far. Most end-users readily give up all privacy to any application or social media portal, and they do it without any thought of the repercussions, which includes greatly increasing their likelihood of becoming a target and succumbing to social engineering. I strongly fault the people behind most end-user education programs. In their hands, end-user education becomes a forced, unwanted childhood chore. Education is undertaken haphazardly, using spotty curriculum that usually doesn’t contain information relevant to the latest attacks. Let me ask you a question: If the No. 1 way end-users get tricked into running Trojans is through fake antivirus prompts, does your company tell your employees what their real antivirus program looks like? If not, why? That type of disconnect puts IT systems in jeopardy. On average, it takes two years for the latest threats to show up in end-user education programs and only a minute for the bad guys to switch themes, putting us behind another two years.” Read more here. On the other hand, if the vendor has trained your staff to use the system well, it is no excuse if your staff is not adept at handling it. When the system is operated on a daily basis, this should not be an issue. If need be, you can hire an IT support staff to help manage this aspect of your business. “Perhaps one of the most significant changes taking place at Rush University Medical Center is the recent introduction of a lockdown feature to provide greater security in emergency situations, such as if a gunman is reported near the hospital. Previously, hospital security officers had to manually lock down each perimeter door. Now, the new system offers a single emergency button and, with one push, security personnel can lock many doors at one time. “They’ve taken it a step beyond what we’ve normally seen,” says Skwirblies about the lockdown mode. “By hitting a button to lock perimeter doors, they can catch the individual and provide greater security at the facility. We’re seeing more of that response by hospitals to these types of situations.” Read more here. In conclusion, modern systems are a good thing to have, but one must be discerning in the quality of the system, the thoroughness of the setup, and the longevity of the system. On the user’s part, there also needs to be good know-how of using the system. Only when all these factors come together, then the system will be able to value-add to your business. Its effect will be more than just an addition, it will be a multiplier effect in all your operations that will help your company in the years ahead. In this computerized society, it is hard to maintain your businesss quality, without the best technology solutions. Studies indicate that a disappointed customer will share his poor opinion with ten people. Whereas, a satisfied customer, only with three other people. Therefore, your company needs to maintain a great customer experience at all times. Choose the best point of sales system and offer your customers the best and most efficient information on your products. Having the complete control of your store as well as the warehouse is of outmost importance in order to improve your services. The best POS has to offer is here for your own convenience. All you have to do is invest in your businesss future. A POS software is essential to all retail stores. If your business doesnt currently use a POS software, then you should definitely consider updating your methods. Take advantage of this high technology and increase your businesss traffic. With a POS system, you can know at all times your stock levels and products, in order to promote and sell all of your items, quick and easy. You dont have to spend a lot of money in marketing and ads. With your own POS, you can keep track of your customers and making them your regular customers in the course of time. Attempt to keep an open communication with them, and see as they will repay the favor by placing you among their favorite businesses and stores. F&B facilities are all about quick and pleasant services. POS systems in Singapore are essential as it enables your customers and staff to enjoy a great experience. The online orders will make the work easier, while it will reduce the waiting time of your customers. In addition, with a POS, common mistakes will be eliminated, giving you the chance to thrive into your business. Install the POS software and take business actions by the convenience of your own smartphone. The options of a POS system are actually endless. Enable the online order and cut back on additional employees or waiting queues. This is the best way to upgrade your business and welcome the future of hospitality and high-end services. Excellent quality in your food and beverages is not enough. Consumers also crave for excellent services and low waiting time. They all want to make the most out of their free time. Use a POS system and offer your customers additional free time in their daily routine! Contact Solution Details and try out the best POS system you can find. Open your mind to new opportunities and make the best out of them. This is the modern way of providing services since the customers standards are already high enough. Beat your competitors and become the most successful business in your area of preference. Along with the most efficient POS and the most experienced team members you can thrive in your own professional field. Security at the workplace has always been the top priority of most business houses; however, not all of them employ the best resources available in the market, which is why the security remains a concern for them. Commercial technology provides advanced security system that takes the overall security of the premise to a level that conventional methods can never match up with. Let’s take a look at some of the technology solutions that can significantly boost the security of your office premise. Intrusion system: Any suspicious activity inside the premise can be detected with the help of intrusion system and it immediately records the activity. It monitors activities within and outside the system. An intrusion system prevents unauthorized entry through various points, protects glass windows, and keeps the environment secured even when there is no staff member present at the premise. Surveillance security system: Surveillance security system is an all-in-one security measure that protects your home or office. It includes surveillance cameras and other accessories to monitor activities in and around the premise to provide a full proof security. Surveillance cameras are primarily video cameras that monitor and record activities in an area while the software transmits digital video footages into the database. Vehicle security system: Vehicle security system is an important aspect of overall security of a business. Vehicle security system tracks the location area of vehicles, monitors access, records the number plates, and automatically registers entries. Integrated security: Integrated security is a software solution that allows an organization to control all aspects of security from a centralized point. A highly cost-effective security management system, integrated security includes alarm management that warns you of unauthorized entry, external interface management that can be integrated to an external system to control the functions, and real time transactions that process information as and when they are generated. People security system: People security system includes , visitor management system, access control system, lift management system, and turnstile system. The objective of people security system is to deny entry to anyone who is not authorized to access the business premise. It has an automated registration system that records entries and alerts security when an unauthorized person tries to access the premise. Security of a workplace is of paramount importance. It not only prevents a financial loss but also builds trust with the customers and this can easily be achieved with commercial technology as it covers all aspects of security, making an organization free of any security threats. To know more on how you can secure your business visit http://www.attsystemsgroup.com/access-control-system/ OR Apply now. Ever since Enterprise Resource Planning or ERP was introduced in the nineties, its popularity has increased by leaps and bounds. In fact, many experts consider it as an essential management tool. ERP informs as well as facilitates decision-making and planning processes. It constitutes of a transactional database that can be seen through something known as dashboards. Nevertheless, there have been various misconceptions about ERP in several quarters as it evolved and developed Check out some of the top myths related to Enterprise Resource Planning. When a business selects an Enterprise Resource Planning system, it also needs a team for implementation. IT individuals and software providers dork very closely for facilitating in-house implementation. Choice of the vendor should also include the capability of testing the sample of an ERP system prior to buying it, software upgrades, ongoing training sessions and available technical support. In the beginning, only bigger companies opted for ERP systems as is the case of any new technology. But, the current ERP systems can operate effectively in small and large businesses equally well. In fact, many ERP systems are highly suitable for varying customer sizes since most businesses are more similar than they would like to believe. After all, the fundamental idea of data integration from multiple functions in a company is universal. Getting a license for ERP software is just a small fraction of the overall cost of system implementation. The factor, which shoots the system’s price, is a lack of proper preparation while setting up the requirements of a business and selecting an incorrect ERP system for a business. Running your company using spreadsheets may eventually turn out to be more expensive for you rather than deploying an integrated ERP system for your firm. This is also not correct. The evolution of ERP software and its subsequent development have established a strong requirement of adaptability. If a business has deployed ERP software and it functions well, there could be new ways of workings in the future since business needs keep changing. Even after a system is implemented, the concerned product manager may find out that an extra module for material planning is required. ERP is about modifying and growing with the emergence of new ideas. To know more, visit http://www.hitachi.com.sg/ict-solutions/solutions/sap/erp.html OR Apply now OR RSVP now.